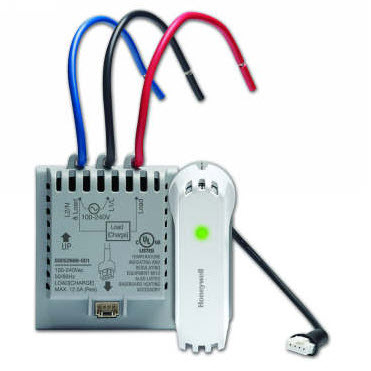 Can be added to a new or existing EConnect Wireless Comfort Control System to create greater load capacity for your electric baseboard, wall, convector or radiant heating system. Rating: 12.5 amps @ 208/240 Volts. Convenience: Can be mounted directly on most conventional and electric hydronic baseboard heaters. May also be located away from heat source, allowing for greater flexibility. Ease of wiring: Powered by the existing line voltage wiring going to the heater. Expandablity: Up to 8 EIMs may be used for each Econnect Wireless Thermostat. REDLINK WIRELESS TECHNOLOGY: Powered by RedLINK reliability. No interference with other wireless devices in the home.